Country Green Turf Farms goes the distance to provide quality sod in Redmond. We start by thoroughly fumigating the soil before planting. This process ensures that our fields are free of weed seeds, stolons, rhizomes, tubers, and other forms of plant pathogens so the sod can thrive without any hindrances. We also meticulously maintain controls around the borders of our fields in order to minimize the introduction of weeds. The end result is weed-free sod grown from the highest quality seed that is ready to flourish. We offer a variety of mixtures of sod so you can find the one that best first your usage and growing conditions. 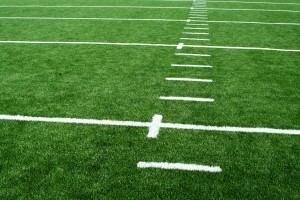 We have sod mixtures for shady areas, sports and recreation fields, and for general use. Our professionals listen to your needs and can help you select the right one. All our sod comes with fertilizer specifically designed for the type of sod mixture you use. Our sod professionals are here to help with any questions you have. We care about our customers. That is why product quality and excellent customer care are our primary focus. We are a family-owned, local business. That means we are invested in our community. We are committed to offering you the best at every step! With expertise going back to 1988, we bring generations of know-how to growing your sod. 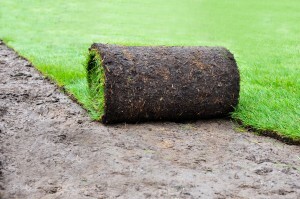 Sod is a wonderful way to install “instant turf.” Since it is already pre-grown, it only needs to be rolled out onto the right soil and, ouala! You have a fully grown field. We wait until the plants have established strong roots and are a length and age to do well during transplantation. Newly planted seed can take two to three weeks to germinate. It takes even longer to be able to use the area for anything other than watching grass grow. Hand-seeding is vulnerable to weed infiltration, bird and insect activity, and many other threats that complete with the grass. Even when a hand-seeded lawn does come in, it is often uneven and will include patches that are thinner or thicker than other areas. Sod has the benefit of being fully mature. With minimal aftercare, it is ready to thrive. Sod is especially useful for large lawns, ball fields, golf courses, parks, business landscaping, and other spaces of significant size. The time and money it takes to plant and wait for hand-seeding—only to have to go back and overseed thin or unsuccessful areas—often winds up being more costly than sod in the end. Contact us today for your quality sod in Redmond and let us provide you with turfgrass you will enjoy for years to come.